Tenants at 888 Grand Concourse are going on a rent strike to protest the conditions at their building. 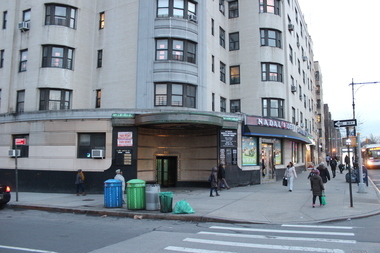 CONCOURSE — Residents of a rodent-infested Grand Concourse building are refusing to pay their rent in protest of their living conditions and as a bid to prevent the current owner from keeping control of the property during foreclosure, they told DNAinfo New York. The tenants began their rent strike on Feb. 1, and tenant leader Carmen Vega-Rivera cited struggles they have had with rodents, elevators, and heat and hot water as justification for withholding money. The building is owned by Tiny Fiesta Realty, and tenants have been battling with them over making repairs to the building for years, according to the housing group CASA, which is helping tenants with the rent strike. "Their plan was never to maintain this building or preserve it," Vega-Rivera said of Tiny Fiesta. "Their goal was to fill their pockets with dollars at any cost, and the cost right now is that the tenants are suffering." Louis and Jonathan Bombart, partners at Tiny Fiesta Realty, did not respond to requests for comment. The building owners are currently going through a foreclosure case centered on $7 million they owe to Capital One, according to court documents. According to attorney Bob Hammond of Legal Services NYC, who is helping the tenants with the strike, the rent protest is also intended to make it more difficult for the owner to hold onto 888 Grand Concourse. "It ties up his income and makes things fiscally more difficult for him," Hammond said, "and hopefully reduces his options when it comes to retaining the building." "We’re hoping that the rent strike will send a very forceful message," echoed Vega-Rivera. "We’re hoping that others will join to say we definitely want you out. We want another landlord and not a speculator, not a gentrifying landlord." About 16 tenants have signed up to take part in the strike so far, according to Vega-Rivera, who is hopeful that more will join. "We’re all tired," tenant Eloy Santana said in a statement. "Waking up in the morning and not being able to take a shower, that’s what did it for me." 888 Grand Concourse has run afoul of oversight organizations before. It appears on Public Advocate Letitia James' Landlord Watchlist and is also part of the Department of Housing Preservation and Development's Alternative Enforcement Program, a designation reserved for particularly troubling buildings. Hammond said the rent strike was due to go on "indefinitely" and that Legal Services NYC would stick by the tenants for as long as they needed them. "It remains to be seen whether or not tenants will actually be brought to court," he said. "We’ll be there to defend them, Legal Services, until either the judge says that we have to pay a certain amount of money or until the building is transferred. That’s how long this is going to last."